Superman is an ongoing comic book series featuring the DC Comics hero of the same name. 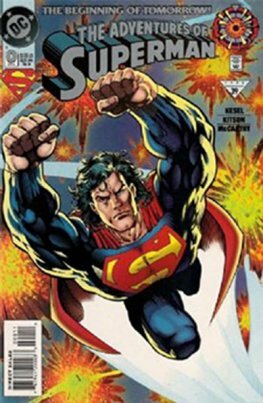 The character Superman began as one of several anthology features in the National Periodical Publications comic book Action Comics #1 in June 1938. 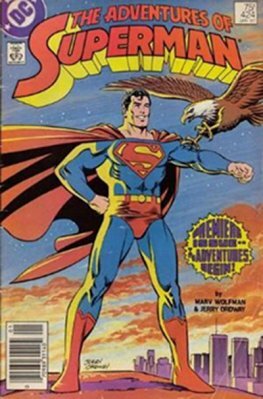 The strip proved so popular that National launched Superman into his own self-titled comic book, the first for any superhero, premiering with cover date June 1939. Between 1986 and 2006 it was re-titled The Adventures of Superman while a new series used the title Superman. In May 2006, it was returned to its original title and numbering. The title was canceled with issue #714 (October 2011) and relaunched with a new #1 the following month.